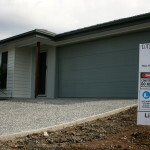 Elliott Homes specialises in new homes from start to finish. Working together with all trades to get your home completed without any hassles. We understand that building a new home is a stressful time for owners, therefore we are always on hand to answer any questions you have during the building process of your new homes.